One of the top questions i get asked on a weekly basis is about supplements as a vegan. There seems to be the idea that you *need* to take supplements which definitely isn’t true, you can infact be perfectly healthy without supplements and the goal should be to get all your nutrients from food alone. However it is good that supplements exist because for some it can be hard to get enough vitamins or minerals through their food alone due to their body not absorbing enough and needing to eat unrealistic amounts of food or certain foods to get the right nutrition, and then supplements are great. However they are just a complement to your intake and are NOT a replacement for a bad diet. It is also important to remember that you should always speak to a doctor and get your blood work done if you think you have deficiencies… don’t just begin with supplements because you think you might be low. Too much of certain vitamins or minerals can cause imbalance with absorption or function with other vitamins and minerals. Also remember that anyone on any diet can end up with deficiencies… many like to blame a vegan diet as to why they need supplements, but people can eat an omnivorous diet and still need supplements. Just like the argument that “vegan diet isn’t natural because b12 is only found in animal products”, when infact b12 comes from bacteria which produce the b12 and the bacteria is then consumed by the animals (or the animals are given b12 fortified food) and the b12 is stored in their liver and muscle (and can be passed on into the milk and eggs from cows and chickens). In the past when humans ate root vegetables and food that still had some soil on it they would get b12 through the soil (and bacteria), now a days that is not a recommendation due to all the bacteria and risk for stomach illnesses and cross contamination of other food with the soil. Also wanted to note that even people who eat meat and dairy and eggs can end up with b12 deficiency. 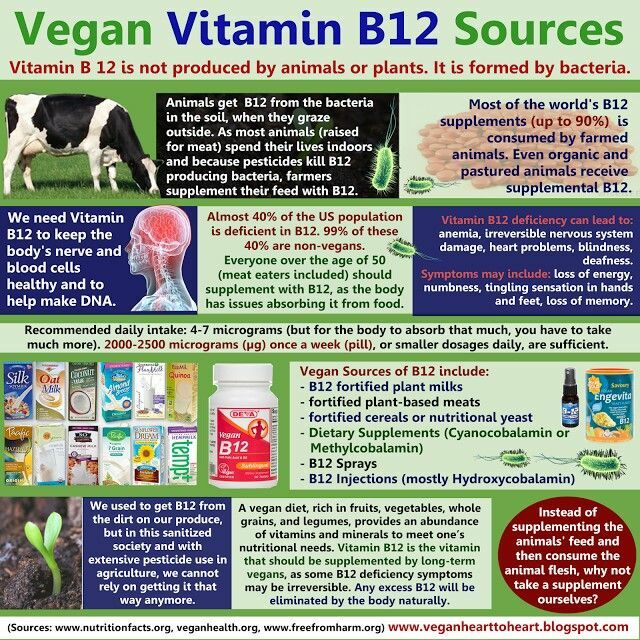 As a vegan the one supplement you NEED to take is a b12 supplement, and there is no question about it. Some say that you can get enough b12 from eating sea weed snacks, spirulina or eating/drinking fortified foods, however you do not want to risk the chance of getting b12 deficiency and the absorption rate of those foods is not as high, so you might think you are getting enough but you aren’t absorbing as much as you think. The signs of b12 deficiency don’t show until about 2-5 years as you store b12 in your liver. B12 is required fo normal nerve function, and helps make your DNA and redblood cells which are 3 very important functions in your body. And symptoms of b12 deficiency can be loss of memory, depression, visions loss, nerve damage (which can be irreversable), muscle weakness and problems walking, as well as general symptoms such as tiredness, lightheadedness, confusion, personality changes etc. Also note if you are pregnant or eating a raw food diet it is even more important to be getting enough b12! A recommendation is a b12 spray or tablet which you take weekly or daily, depending on the dose. Often the doses are extremely high meaning you don’t need to take it everyday, but also the absorption rate isn’t 100% so you won’t be absorbing all of it. However, unlike other b vitamins, b12 is stored so you don’t need an extreme overdose. What about other supplements? Iron, calcium, protein? Well this is something you need to get your blood tested and talk to a doctor about. It is nothing i can tell you if you need or don’t need, it is very individual. It could be recommended to take a multivitamin everyday as that would hopefully guarantee that you get all the vitamins and minerals you need everyday instead of taking separate very high doses of certain vitamins or minerals. As long as you don’t have an illness that makes you absorb the vitamins extremely efficiently or you already eat a very high dose of certain vitamins or minerals then it shouldn’t be a problem to take a general multi vitamin. What about iron? I would not recommend you take a supplement unless it is shown that you need to take iron supplements – taking iron supplements unnecessarily can cause consequences and symptoms you want to avoid. What about calcium? By eating fortified foods and enough seeds, nuts, tofu, tempeh, dried fruit you should get enough calcium and unless you have a diagnosed deficiency you shouldn’t take extra calcium supplements as calcium and Vitamin D intake needs to be in balance. 2 recommendations for supplements as a vegan are D vitamin and Omega 3. This is because a vegan diet most often lacks vitamin D and during winter/autumn in colder countries you will be getting very little D vitamin which not only affects mood and energy but even plays a role in your bone density. However with a regular multivitamin you should be getting about 10mikrogram D vitamin a day. 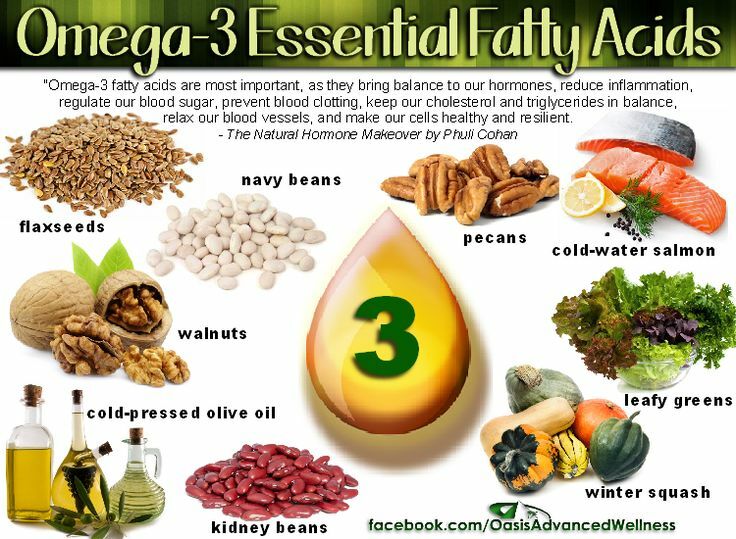 And Vegan Omega 3 (DHA and EPA) is a good idea if you don’t eat alot of flax seeds, chia seeds, walnuts or flax seed oils. As a vegan you often get alot of Omega 6 from all the vegetables and vegetable oils used so then you can have a high intake of omega 6 and low intake of mega 3 which isn’t good as those need to be balanced. So taking a daily vegan omega 3 supplement might be a good idea if you don’t eat the foods mentioned above. I hope i have cleared some queries you have and remember that you should talk to a doctor if you think you need supplements or have a deficiency!! And remember supplements are just that… supplements – FIRST AND FOREMOST look at changing your diet. Also remember that even if chronometer and my fitnesspal can tell you that the food you are eating is giving you enough vitamins and minerals it might not be true because you don’t always absorb 100% of the nutrients, some absorb the nutrients better than others and something through different cooking methods the vitamins and minerals are destroyed. Which brings me to… if you are using fortified nutritional yeast for your b12 or b vitamin intake DON’T heat it up because that will destroy the b vitamins function. If you are eating it just because it tastes good and adds flavour then it doesn’t matter – but if you heat it up in sauces etc you won’t be getting the functionality of the b vitamins! I always take Vit D in the winter because of the lack of sunlight, but I am a little confused about the different D vitamins you can take. I have read that Vit D3 is preferable over vit D2 because vit D3 is what gets made in your body as a reaction to sunlight. Does this mean you shouldn’t take Vit D2 as well and what strength should your vitamin be? I have seen varying strengths ranging from 1000mcg to 4000mcg but I`m unsure of the safe intake. What I am currently taking at the moment is 1000mcg – is this enough?